See More Games > What Age is Your General Knowledge? Which World Leader Are You? Which Taylor Swift Song Are You? Which Oscar Should You Win? Which "Once Upon a Time" Woman Are You Really? Which Instagram Filter Are You? LA Times features free online games for both adults and kids, including arcade , crosswords, puzzles, casino, matching, card games and more. Enjoy nine varieties of Solitaire, plus Royal Smash, Blackjack, Bridge, Hearts and 52 Card Pick Up. There are also colorful bubble shooters, tile-matching puzzles, and different varieties of Sudoku and Mahjong. Word-game fans will enjoy fun, challenging games that let you form or find words, like Outspell, Word Wipe, Wander Words, Drag'n Spell, Spliterature, Word Candy and more. Trivia fans will love playing True?, which tests your knowledge in a variety of popular categories, including Animals, Film, Geography, Food and General Knowledge. If you prefer strategy challenges, try our rich collection of both classic and new games. 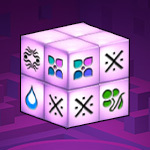 They include Match & Merge, Minesweeper, Pool, Trizzle, Bingo and more. There’s something fun games for everyone, from beginner to expert. Start playing now!